Electrification of vehicles has escalated from a trend into the direction all automotive manufactures are moving towards. Part of this is the success that Tesla saw as a high-priced, small allotment manufacturer, and part of this escalation comes directly from European laws calling for all new car sales to be electric within the next 15 to 20 years. 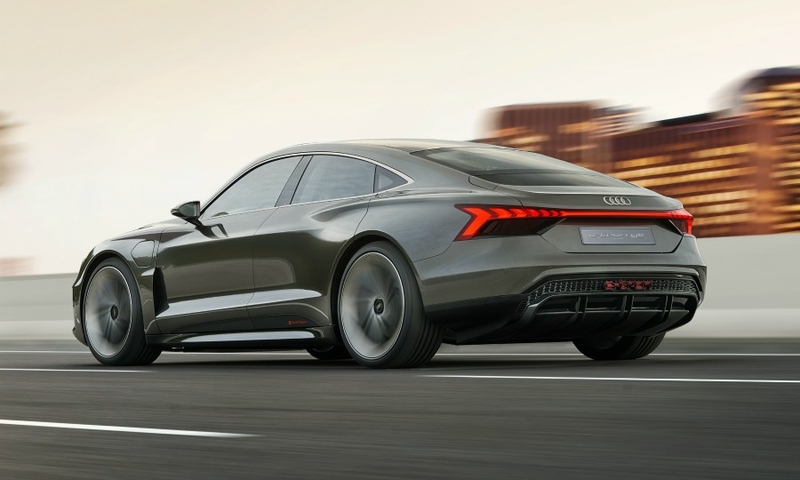 Audi has already jumped into the fray with the e-tron, releasing later this year, but have decided that the e-tron isn’t enough for them; instead, making good on the sports performance indicative of the brand, they’ve begun work on the e-tron GT, a 590-horsepower electric sedan. And it’s as fast as the R8. Expected to go on sale within the next two years, no firm release date or price has been set yet for the e-tron GT: In good news, Audi has confirmed a few facts for us while we wait. Utilizing a low center of gravity similar to the Audi R8, all-wheel steering, as well as aerodynamic styling and a wide stance, the e-tron GT can achieve a 0-60 in just 3.4 seconds. Although the range is (currently) showing as about 248 miles, that could definitely increase before launch; the good news is, utilizing a fast-charge system, you’ll never have to wait long for a charge. Able to go from nearly dead to 80 percent charged in just under 20 minutes, the 800-volt battery will charge faster than even Tesla’s superchargers. The interior meanwhile looks as sleek and futuristic as one would expect of an electric vehicle, while maintaining that Audi flair and comfort customers have come to know. A center console devoid of the conventional shifter and replaced by electronic buttons for shifting, touch enabled air con controls, and a stylized infotainment screen are just a few of the welcome amenities available in the e-tron GT. If you’re looking for a little more information on the e-tron GT, make sure to check out the video below, or see it in Avengers: Endgame when it releases in theaters!